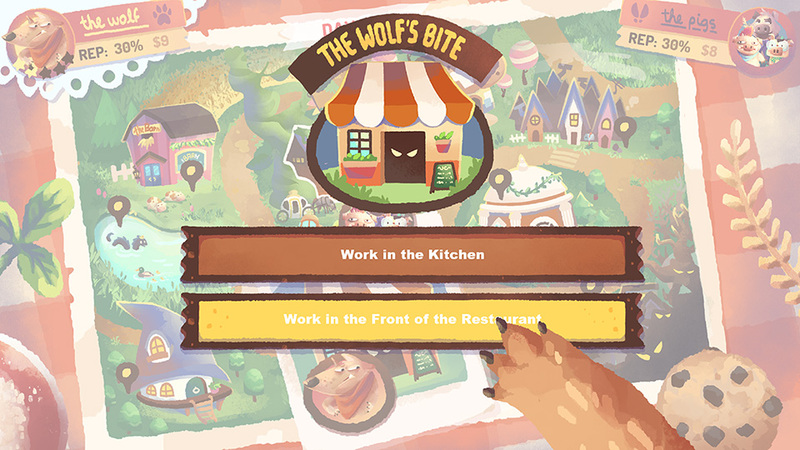 The Wolf's Bite is a one-versus-one choose-your-own-adventure game with an entrepreneur fairy tale twist. 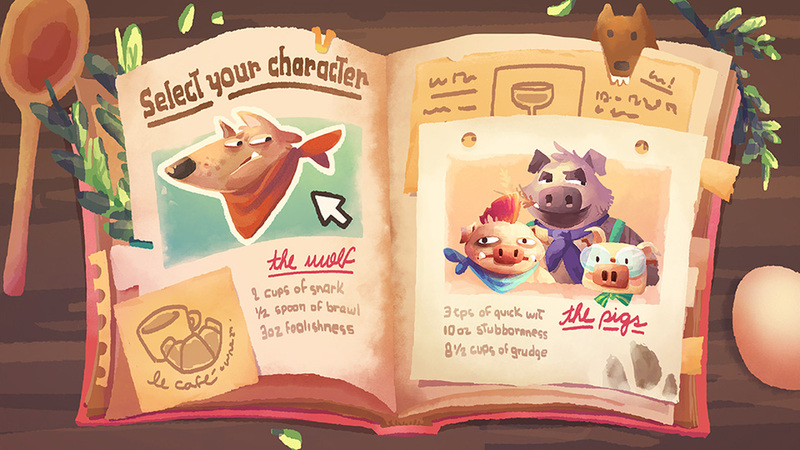 Inspired by stories such as "The Three Little Pigs" and "The Stinky Cheeseman and Other Fairly Stupid Tales", the game revolves around thwarting the other player while ensuring your business thrives. 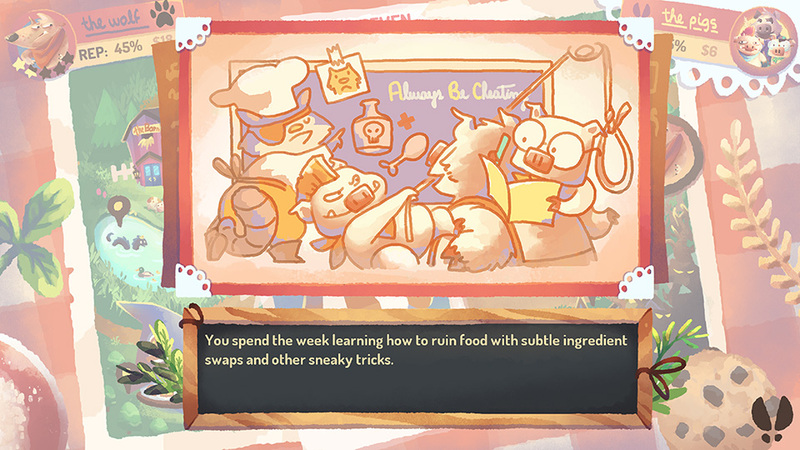 Be a Professional Chef or a Revengeful Saboteur, the competition is on. 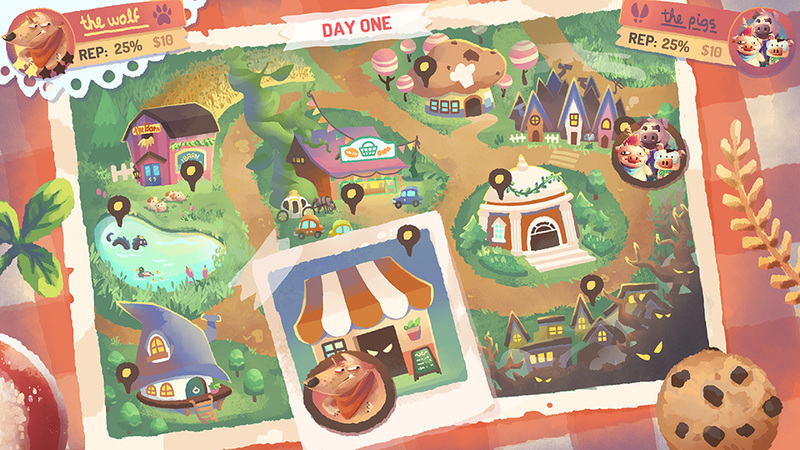 Code by Eric Bernier, Art by Karen Teixeira, Writing by Dave Coughlin, Music and Sound by Fat Bard. 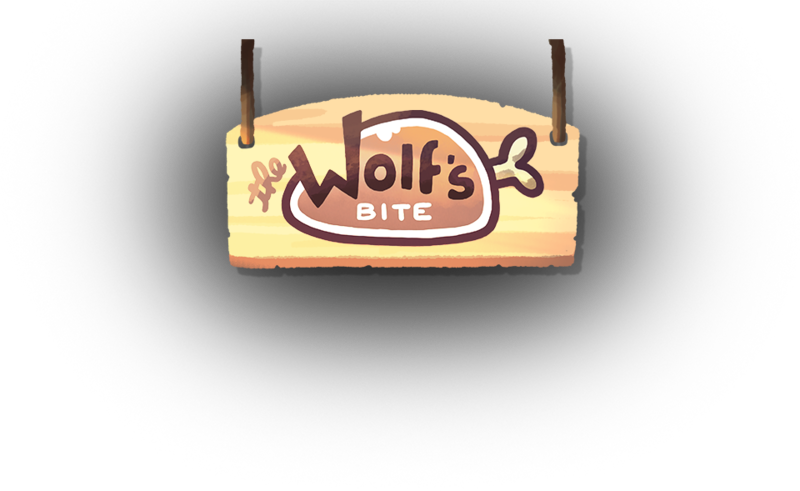 The Wolf's Bite is available on PC, Mac and iOS!